CA-MRN-67 (September-October, 2012): This site in Marin County is one of the 400+ shell middens in San Francisco Bay first identified by archaeologist, Nels Nelson, in 1900. Work involved excavation and documentation of the Native American Miwok habitation site under the supervision of the tribe’s descendants, the Federated Indians of Graton Rancheria and documentation team of Holman & Associates. Historical American Landscape Survey (HALS) documentation for China Camp Heritage Village, China Camp State Park, San Rafael, CA (2012-present) is, the last remaining Chinese shrimp harvesting village in San Francisco Bay and in California. This is a volunteer project supported by HALS of Northern California (halsncc.org); California Department of Parks and Recreation and Friends of China Camp. 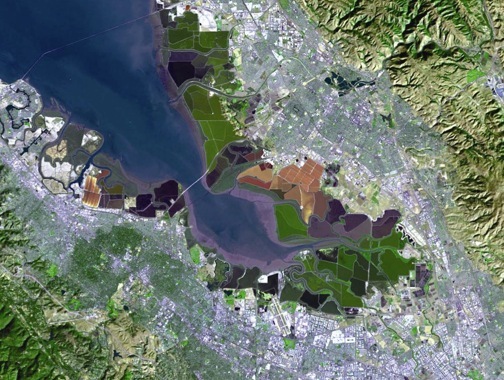 South San Francisco Bay Salt Pond Restoration Project: South Bay Salt Pond Restoration Project (SBSPRP) California, San Mateo, Santa Clara and Alameda counties (2004-present). Conducted the Cultural Resources Survey, cultural assessment and mitigation recommendations for the Resource Management Plan with the EDAW team. A Cultural Resource Study and Supplemental Recording for CA-LAK 1260 and 286. UC Davis’ McLaughlin Reserve at Lake, Napa and Solano counties, California (2005-06). Project Coordinator as a member of the Anthropological Studies Center team based at Sonoma State University, Rohnert Park, CA for CA-LAK 1260 and 286. Benton District Historic Resources Survey and Inventory in Santa Rosa, CA. (2005-06) Member of the survey team to identify Benton District’s eligibility for the National Register of Historic Places and the California Register of Historic Sites. Currently an appointee of San Francisco Mayor Ed Lee as a member of the City of S. F. Historic Preservation Commission.